We hate to say it, but people tend to think that skin care is a girly thing. Many men shy away from it in fear of being treated differently. We beg to differ! Healthy skin is important to everyone, regardless of gender, so we’d love to help erase the stigma surrounding skin care for men. In honor of Father’s Day, here are our favorite men’s skin care tips to help all the guys in our lives achieve healthy skin at any age. Your skin is your largest and most visible organ, which means it reflects the health of your entire body. Forgoing any skin care products leaves you vulnerable to dry skin and problematic conditions, including eczema and psoriasis. Plus, having healthy skin is generally more comfortable than allowing dryness or oils to take over completely. Next on our list of men’s skin care tips: get rid of those cheap, disposable hacksaws you call razors! While we all love the convenience of shave blades you can just toss, we tend to use them long past their prime. If the moisturizing strip on your razor is pretty much gone, you’re scraping at your skin with no protection. Those very top layers of skin? Gone. We recommend a razor with a thick moisture bar that’s meant to be used for many shaves to come. Taking the extra step to apply aftershave is worth it, trust us! Most aftershave products contain antiseptics, which keeps any nicks from becoming infected. They can also prevent ingrown hairs, keeping your skin smooth long after shaving. Dry skin can affect anyone, so take precaution! Using a moisturizer daily after showering is possibly the best thing you can do for your skin. You’ll protect yourself against environmental irritants and reduce the appearance of signs of aging, resulting in a brighter and more youthful appearance. With summer around the corner, it’s time to incorporate a little sun protection into your routine. Sun damage leads to fine lines, wrinkles, dark spots, and even cancer. We suggest applying a water-resistant formula with an SPF of at least 30, dressing in light layers, and scoping out shade when you can. 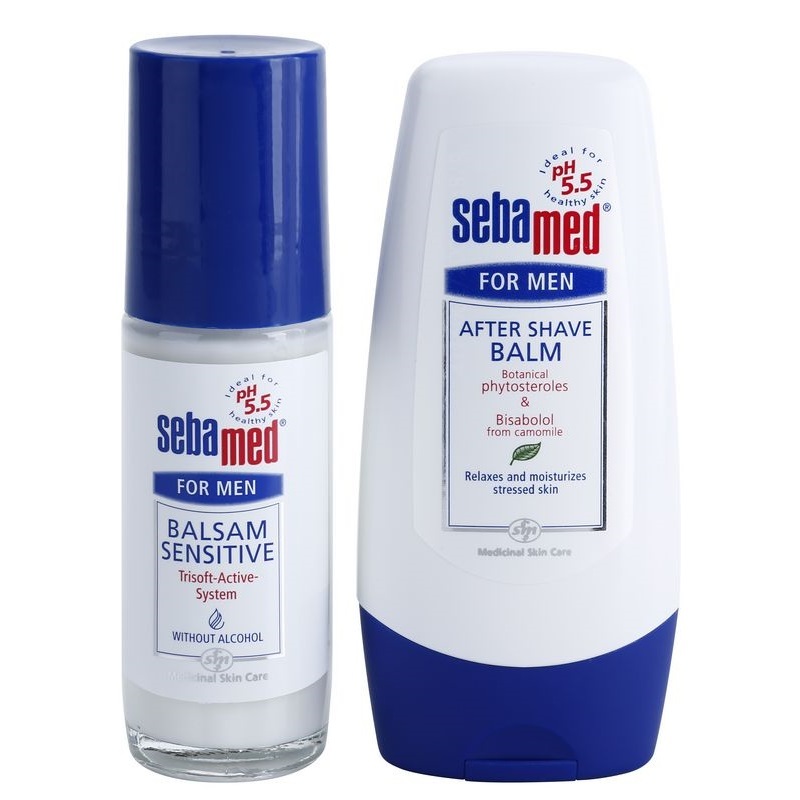 No matter your gender, Sebamed is here to help. We offer products specifically formulated to stabilize and strengthen your skin barrier. Check out our full lineup here and our men’s products here!